$240+ Retail value for only $150!!!! It is a steal! Say goodbye to toxin filled make up and hello to Savvy Minerals! All the big puffy heart eyes for this year's Holiday Catalog. 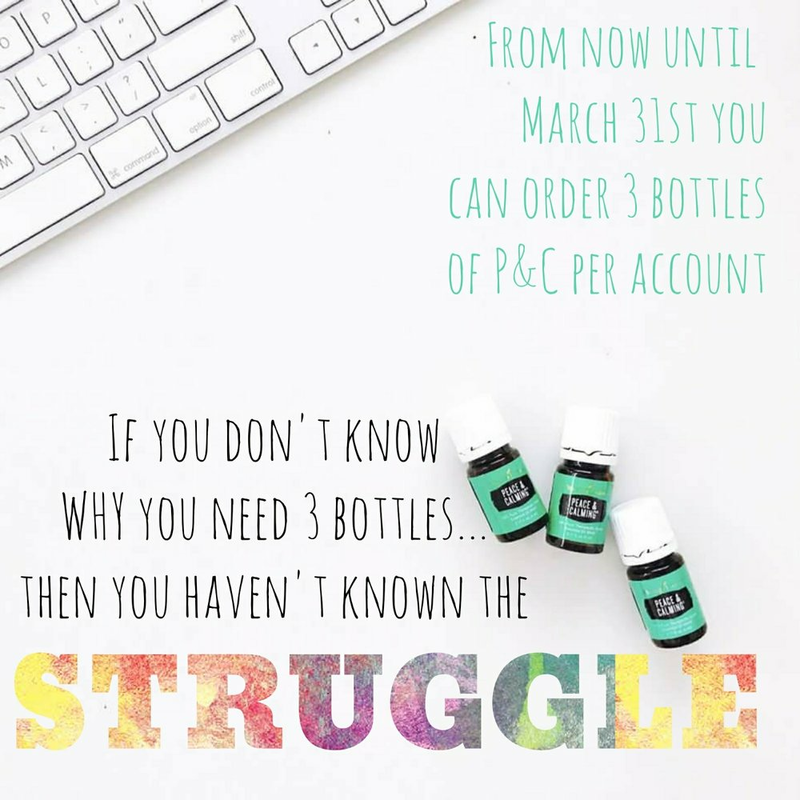 Per usual Young Living has outdone themselves! You can check out the whole catalog HERE. I personally cannot wait to get my hands on this blends kit! Some essential oils contain certain constituents that can cause your skin to be more likely to burn, discolor or become irritated if exposed to UV rays. This includes natural sunlight and tanning beds. Use caution with these oils. Make sure you apply where they will not be in direct sunlight. VALOR IS BACK!!! Those that have been addicted to oils long enough know that this stuff is what dreams are made of! Get yourself some! “Valor is for balancing the body, for empowering, for instilling valor in yourself. Spruce was another oil that was used by the Romans in their baths. They combined Blue Tansy, Roman Chamomile and Spruce. Those were the oils they used in preparing to go into battle. Frankincense is there so you can come from the spiritual space when you are balancing the body. –and I have said it a thousand times and will continue to say it–never start another oil on the body without Valor™ first. It just facilitates everything else you do to be more effective and more valuable. Valor® essential oil blend is one of our most popular products and a favorite of founder D. Gary Young. Its woodsy, positive scent comes from a blend of Black Spruce, Blue Tansy, and Frankincense. Valor is great for massages, in addition to other topical and aromatic uses. Use it to greet each morning with a positive attitude or to unwind at the end of the day. Its powerful yet calming scent is versatile enough that you can integrate it into your morning and bedtime routines and anywhere in between. Thieves Cleaner really is the only cleaner that you need. It is so versatile and it smells so good too! Not only does it clean like a boss it is toxin free! Here are 20 ways to use your Thieves Cleaner. Remove all items from the refrigerator. Mix 1 capful of Thieves Household Cleaner with 2 cups of water. Clean the outside of the fridge, including top, doors, and exterior water and ice areas. Clean the inside of the fridge, including shelves, produce drawers, doors, ice tray, etc. Mix 1 capful of Thieves Household Cleaner with 1 cups of water. Clean stovetops, ovens, microwaves, toasters, toaster ovens, blenders, mixers, etc. To clean the interior of a microwave, fill a microwave safe container with 2 cups of water. Place in microwave and heat for 5-10 minutes. The steam will make it easy to clean up food and food particles. First, dust light fixtures and bowls. Then, mix 1 capful of Thieves Household Cleaner with 3 1/2 cups of water. Clean fixtures, glass bowls, etc. to remove dirt and sticky residue. Mix 1 capful of Thieves Household Cleaner with 2 cups of water. Wipe down kitchen surfaces to remove dirt, sticky residue, etc. Consider placing a cotton ball with 2-3 drops of Thieves essential oil to keep areas under sinks, cupboards, etc. smelling clean. Mix 1 capful of Thieves Household Cleaner with 1 cup of olive oil (add 2-3 drops of Lemon essential oil for a fresh lemon scent). Wipe down wooden cabinets, tables and other wooden furniture to remove dirt and clean surfaces. Mix 1 capful of Thieves Household Cleaner with 3 1/2 cups of water in a spray bottle. Spray sinks, countertops and backsplash and wipe clean to remove dirt and grime. If sinks are dirty or stained, try this DIY Soft Scrub recipe. For interior garbage cans, mix 1 capful of Thieves Household Cleaner with 3 1/2 cups of water in a spray bottle. Spray trash cans and wipe clean to remove dirt and grime. Consider placing a cotton ball with 2-3 drops of Thieves essential oil to keep trash can smelling clean. For exterior and heavy duty garbage cans, mix 1 capful of Thieves Household Cleaner with 2-3 cups of water (use less water for heavier degreasing) in a bucket. Take garbage cans outside and use cleaning cloth to thoroughly clean. Use spray hose to rinse and let dry outside. To clean inside toilets, mix 1/4 cup of baking soda and 1/2 capful of Thieves Household Cleaner to a toilet brush. Clean inside of toilet bowl and let sit for a few minutes before flushing. To clean outside of toilets, mix 1 capful of Thieves Household Cleaner with 3 1/2 cups of water in a spray bottle. Spray outside of toilet, flusher knob, on top and underneath toilet seat to naturally clean. Add 1 capful of Thieves Household Cleaner with 1/2 cup of water in a spray bottle. Spray tile and grout. Let sit for a couple of minutes. Use a small brush to get stains out. You may use less water for stronger concentration as needed. Mix 1 capful of Thieves Household Cleaner with 4-5 cups of water (add 2-3 drops of Lemon essential oil for a fresh lemon scent and/or 1 tsp of white vinegar for streak-free clean). Clean windows, sills and mirrors to remove dirt, sticky residue and grime. First, dust all wall and outlet surfaces. Then, mix 1 capful of Thieves Household Cleaner with 3 1/2 cups of water. Clean walls, outlets and vents to remove dirt and grime. Mix 1 capful of Thieves Household Cleaner with 4 cups of water (add 2-3 drops of Lemon essential oil for a fresh lemon scent and/or 1 tsp of white vinegar for streak-free clean). Clean windows, sills and mirrors to remove dirt, sticky residue and grime. Mix 1 capful of Thieves Household Cleaner with about 6 cups of water and add to carpet or steam cleaner. Clean rugs, carpets and upholstery to remove dirt and grime. Be sure to spot test in an inconspicuous location first. Add 1 capful of Thieves Household Cleaner to the bottom of the dishwasher to clean dishes. Mix 1/2 capful of Thieves Household Cleaner with 3cups of water to clean pots and pans. Add 1-2 capfuls (depending on load size) of Thieves Household Cleaner to washer to clean clothes. Mix 1 capful of Thieves Household Cleaner with 3 cups of water in a spray bottle. Spray toys, play equipment, train tables, doll houses, toy organizers or shelves, etc. to remove dirt and naturally clean. 18. Exercise equipment, yoga mats, weights, exercise balls, etc. Mix 1 capful of Thieves Household Cleaner with 2-3 cups of water in a spray bottle. Spray toys, play equipment, train tables, doll houses, toy organizers or shelves, etc. to remove dirt and naturally clean. Mix 1/2 cup of Thieves Household Cleaner with 1/2 cup of water and add to a small spray bottle. Use as needed to naturally clean hands. Got a tough stain on your clothes? Use Thieves Household Cleaner without dilution on the stain. Scrub gently with a small brush until the stain is gone. Peace & Calming Hoarding Time! TODAY IS YOUR LUCKY DAY!!! Peace and Calming limit of one per account has changed to 3 per account until March 31st. Not sure what the fuss is about? Why does everyone freak out with all the heart eyes when someone says Peace and Calming? Are your kids wild? Do you not sleep restfully? Do you kinda need to say "serenity now" 100 times a day? Well then get yourself some P&C...not just one...buy 3. It will go out of stock and you will be sad. Real sad. 1. Begins 12:00 AM (MST) on March 17th and ends 11:59 PM (MST) on March 31st. 2. Limit of 3 bottles per account. Any bottles you already ordered this month count towards that limit of 3. 3. You CAN add them to your ER order. 4. You cannot redeem ER points to purchase. 5. This is a US only promotion. Our Reconnect™ essential oil collection is available for purchase again!!! This collection features four carefully selected essential oil blends that offer the aromatic support you need to clarify your mind and support a positive and grounded perspective on life. These blends help mental acuity and focus and support mood by uplifting and encouraging positive energy in times of restlessness and unease. +GeneYus: This blend is specifically formulated for kids and contains oils used for their abilities to help stimulate the mind and to help one focus and block out distractions. +InTouch: This blend contains oils often used for their abilities to help calm and balance the emotions and to aid in focusing thoughts productively. +Reconnect: This blend contains oils often used for their abilities to help release past emotional trauma, to aid in enhancing feelings of forgiveness and balance, and to help focus thoughts in the present time. +SleepyIze: This blend contains oils often used for their calming and relaxing properties. It may help combat feelings of stress, listlessness, and anxiety and help encourage restful sleep.